The Avengers movie will be the blockbuster release of this year. Set to release on May 4, this movie is the most awaited movie of the season. Avengers is the name given to the super heroes who team up to save the world. The team includes all the Marvel Comic Superheroes namely Captain America, Thor, Iron Man, Hawkeye, Hulk and Black Panther joined with the best super spies from the S.H.E.I.L.D agency. Avengers Action Figures will be the next big hit in the Toy Industry. Kids will be wanting for each and every action figure of this movie and collectors will be busy getting their hands on them! This page will guide you to the best Avengers Action Figures available in stores on discount prices. Movie accurate figures are unique ones which resemble the live action movie actor of the character. Don't forget to get a complete range for yourself! 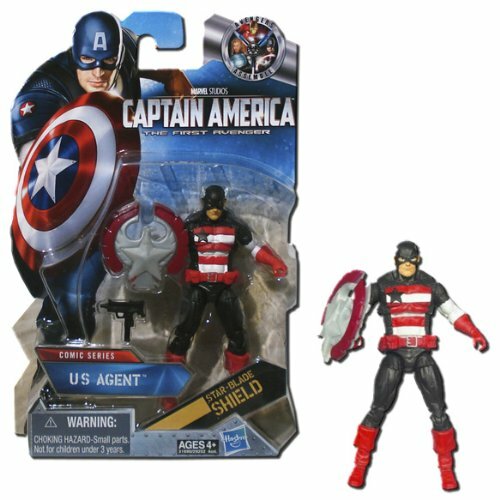 Captain America Action Figures will be a perfect gift for your child. You can give it to him on his birthday, Christmas or any other occasion. This action figure is from the top distributor of Marvel Action Figures- Diamond Select. A unique feature of this figure is that it looks just like Chris Evans! (He plays the role of Cap in the upcoming Avengers movie). This movie-accurate action figure has 16 points of articulation and can be turned in any pose you want it be. A bonus feature of this product is that it comes with part of a display stand that can be joined with the Red Skull action figure also featured here. This diorama will recreate a major scene from the movie! The gun and the shield can be detached from the main body. The colors are also pretty cool. 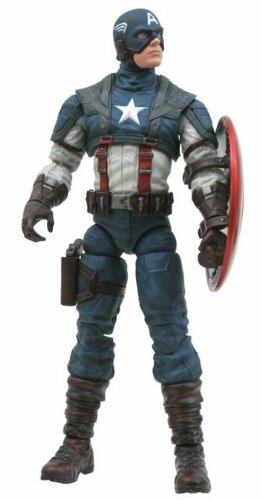 This 7 inch figure will be loved by your kids and will be a great addition to his Marvel Super Hero Action Figure Collection. The Red Skull Action Figure is also a realistic figure which looks like it is straight out of the movie! Kids who love to collect the figures will be amazed to have both of these figures especially because their bases join together. I'm so in love with these movie-accurate action figures! 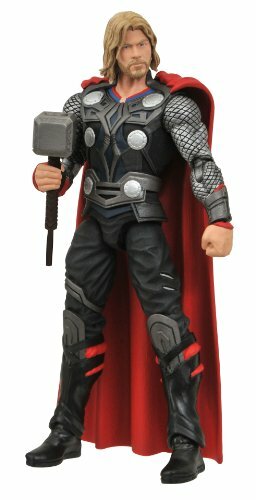 Thor action figure looks exactly like Chris Hemsworth from the live action Thor film. This figure stands 7 inches tall and has 16 joints. You can play with it whole day long or can save it as a collector’s item. The joints are easily movable. You can also easily detach the hammer from his right hand if you want to. This set comes with a base that looks like the legendary rainbow bridge of Asgard. The base joins with the base of the Loki action figure and completes a scene from the movie. This item will be a great purchase as it can also be sold out a few years from now on as Collectors items are hard to come by these days! You can gift it to your kid on his birthday or can get it as a Christmas present for him. 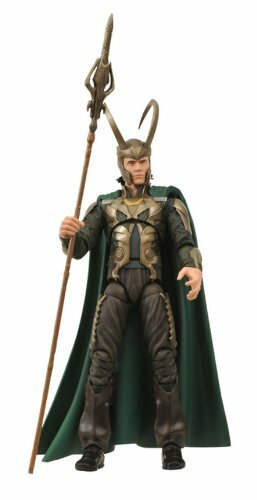 The Loki Action Figure also is a realistic one. The role of Loki is played by Tom Hiddleston and the action figures looks just like him. 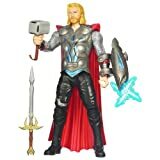 This figure comes with a Bifrost sword and a Hemsdall Sword which he uses to open and close the Bifrost one. The Hemsdall Sword is meant to be placed on the Thor-Part of the stand so it will be a perfect purchase if you buy both of them. Your Toddlers will love these cute plush toys ! The Incredible Hulk action figures featured here is the best you can get for your Avengers Team Collection. 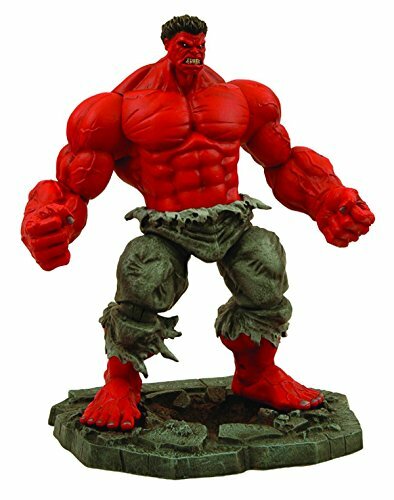 The Red Hulk action figure stands 8 feet tall and is a life like action figure of the character. This figure has 14 points of articulation which can be easily moved so you can get him to stand in any pose you want. The sturdy material is strong enough to endure children's play. This action figure will tower over all of your other Marvel collections just as it does in the comics. It comes with a rubble base to show the destruction which hulk causes. The Green Hulk is the movie version of the series. This figure also stands quite tall (10 inches) and is Massive as compared to other action figures, or we can say it is too HULK! It is the best representation of the Hulk ever available (customer reviews said that!). All in all it will be a great purchase for a kid who loves the Marvel superheroes. Collectors can also purchase it, it won't be a disappointment! This item also comes with a rubble base to show the destructive abilities of the hero. 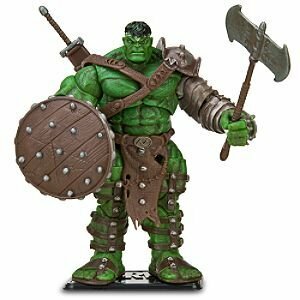 The Hulk War Action Figure will also be a great choice for the collection. Iron Man Avengers Action Figures! Iron Man is reappearing in the Avengers movie as the part of the team. Your kid will get really excited when they get a Movie- Accurate action figure of this character along with the other ones. 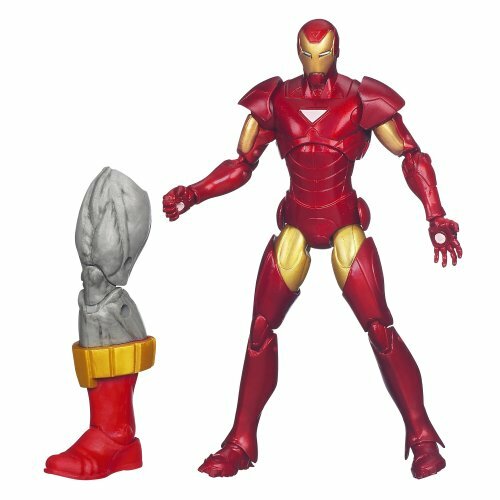 The Exremis Iron Man figure comes with the right leg of his arch enemy-Terrax. 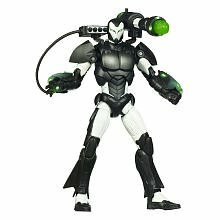 Other parts of Terrax come with other action figures and you will have to buy those as well to complete the terrax figure. The Iron man figure stands 7.5 inches tall and is overall a good purchase. The joints are well articulated and relatively easy to move. It will fit in with other Marvel figures and can be a collectors item as well. War Machine is Iron Man's best friend who is always by his side whenever he needs him. He is also appearing in the avengers movie this year. 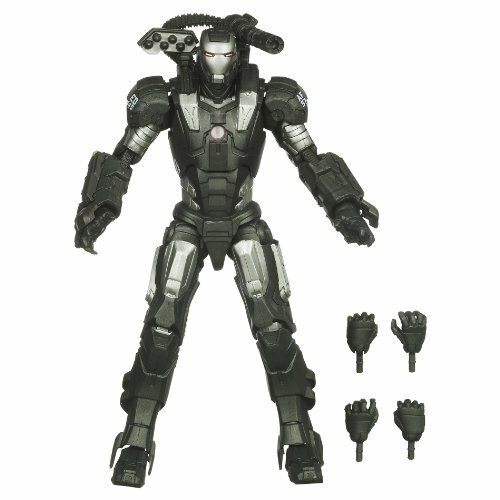 The War Machine Action Figure stands 6 inches tall and is fully loaded with snap on weapons. Kids will love playing with this super cool action figure. This is a good representation of the movie character. It comes with two ammo attachments and a cover to hide the area when not loaded with ammo. It is a greatly appreciated product and loved by all customers. A perfect gift for an eager young boy. Will be a Treat for the Fans ! Hawkeye was a former enemy of Iron Man in Marvel Comics who later joined Avengers and gained their trust. Hawkeye was given the name due to his skills as a master marksman. He is no super hero but is at the peak of human physical conditions, as Captain America. He is also well trained in hand to hand combat and martial arts and is difficult to beat. Hawkeye is appearing in the 2012 Avengers Movie. 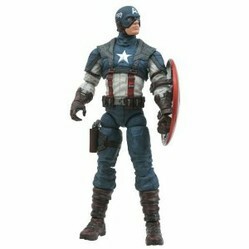 A kid waiting for the movie would be really excited to add the Marvel Legends Series 7 Action Figure to his collection. This figure has over 32 articulation points and stands 6 inches tall. 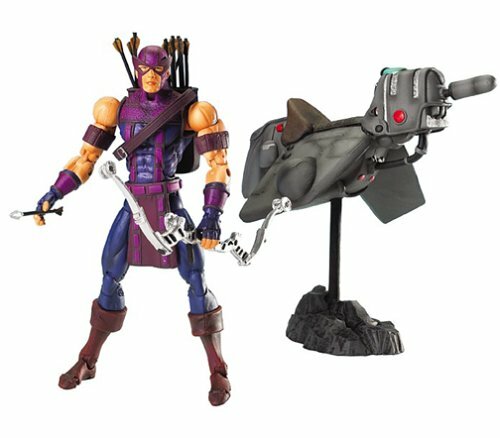 The arrows that come with the figure CAN be loaded in the bow! That is the reason it is at a slightly higher price. The package also contains a hover bike which is the representation of Hawkeye's Skycycle. It is a great buy in such a short price. 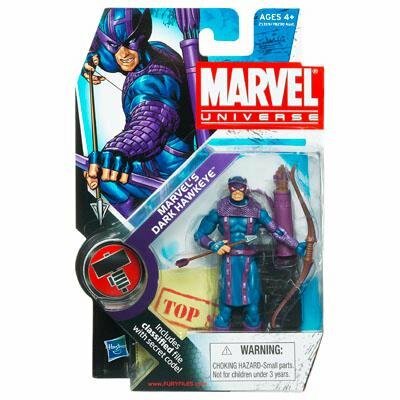 Another great choice for Hawkeye action figure is the 3-3/4 inch toy. 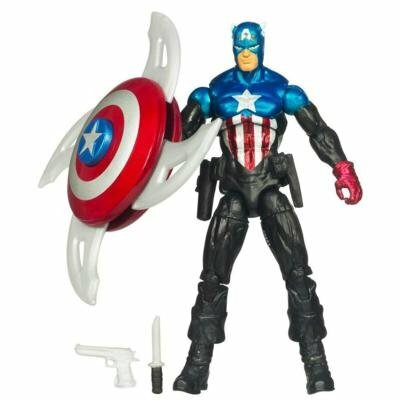 This toy comes with a stand, weapon accessory and a secret code file of S.H.E.I.L.D. 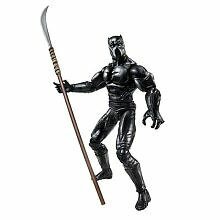 From the Marvel Superheroes Action Figure Series, this depiction of the stealthy Black Panther is among the best. 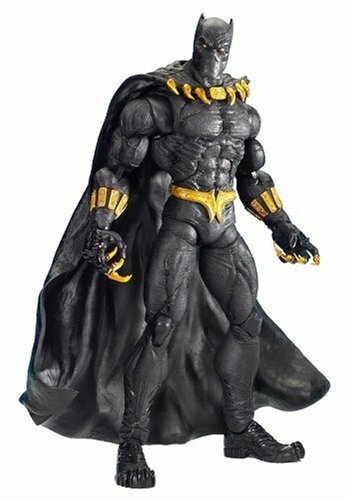 With his bendable golden claws ready to strike, King T'Challa of Wakanda has never looked better in his ebony costume complete with black cape and gold trim. The figure has fairly decent articulation points for posing, but, more importantly for collectors, he can stand up just fine on his own (without a display base). The figure is strong enough so that your kids can play with it without fearing of it getting broken. The Sentinel Series comes with a part of the famous avenger’s foe in each package. You will have to buy all 7 packages to complete the huge sentinel action figure.